Politics has intruded into Canadian Space Agency (CSA) programs once more with an announcement that the Federal government "has decided not to proceed" with the planned June 2014 launch of the Maritime Monitoring and Messaging Micro-Satellite (M3MSat) technology demonstrator, from the Baikonur Cosmodrome in Kazakhstan and the subsequent Russian allegations of the M3Msat's possible 'military" uses. As outlined on the M3MSat webpage on the Earth Observation Portal, "M3MSat is a Canadian technology demonstration mission jointly funded by the Department of National Defence (DND), the Canadian Space Agency (CSA), exactEarth LLP and COM DEV Ltd. The overall objective is to provide space borne services in support of Canadian sovereignty, security, safety and communications needs within the territorial and maritime regions of Canada and beyond." The spacecraft was developed in partnership with COM DEV and the University of Toronto, Institute for Aerospace Studies (UTIAS) Space Flight Laboratory (SFL). M3MSat is a follow-on project of the UTIAS SFL CanX-6 NTS mission and the second joint CSA - DND micro-satellite mission. The first one was the Near Earth Object Surveillance Satellite (NEOSSat), launched in 2013 from the Satish Dhawan Space Centre in India. Graphic c/o CSA. The action was announced in an April 24th, 2014 press release from M3Msat contractor COM DEV International under the title "M3M Satellite Launch To Be Rescheduled." The press release quoted the "Government of Canada" as deciding "to not proceed with the planned Russian Soyuz launch of M3M, which was scheduled for June this year." Mike Pley. Photo c/o COM DEV. There were no immediate indications as to why the announcement was made by the prime contractor for the program and not through normal government channels, but the press release stated that "COM DEV has received an indication that the Canadian Space Agency will support COM DEV's efforts to secure a new launch." Recognizing the current events in the Ukraine, we had been engaged in discussions with the Government of Canada with respect to a potential delay of the launch of M3M, and plans to mitigate the impact of any delay. We are confident that the mitigations will be in place prior to the originally planned M3M in-service date of September 2014. The launch would also have included two smaller Canadian satellites. There are no details on how those spacecraft will be put in orbit. The actions are widely considered to be an escalation of Canadian sanctions against Russia over the ongoing situation in the Crimea. As recently as last week, the April 16th, 2014 Canadian Press article "Tensions with Russia not affecting space station: Canadian Space Agency," quoted CSA president Walt Natynczyk as stating that Canada continues to work with "all its partners involved in the space station," even Russia. Of course, the Russian government was quick to respond to the press release. The April 25th, 2015 RIA Novoski article Canada to Pay for Ditched Launch Contract with Russia - Moscow," quoted Russian Deputy Prime Minister Dmitry Rogozin as stating that the Canadian government will certainly "have to pay – both in terms of money and reputation – for a decision to ditch the launch of its satellite by a Russian rocket." 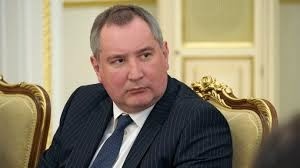 Dmitry Rogozin. Photo c/o RT. The Canadians screwed things up. They refused to launch the satellite and admitted that it was a military one, despite earlier assurances of its civilian purpose. RIA Novoski, although admittedly operating under the purview of the Russian Ministry of Communications and Mass Media, may have a point in this instance, since the comments simply echo other, similar statements from the Canadian media. 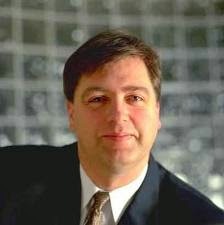 For example, the April 20th, 2014 Canadian Press article "Canadian Space Agency boss insists his appointment does not spell militarization," focused on current CSA president Walt Natynczyk's previous job as the former Chief of Defence Staff and the effects it could have on his current appointment. It's also well known that the M3MSat is jointly funded by the Department of National Defence (DND), the CSA, COM DEV along with COMDEV subsidiary exactEarth LLP. An argument relating to the military connections and potentialities of the satellite could certainly be made. The politics of this latest dance between the Canadian and Russian governments is certainly intriguing. Stay tuned. Elon Musk Cries Havoc & Lets Loose the Dogs of Litigation! Space Exploration Technologies (SpaceX) founder and CEO Elon Musk has set the space industry on fire with the announcement that he will sue the US Air Force over the single-sourced, non-competed Evolved Expendable Launch Vehicle (EELV) program contract recently awarded to United Launch Alliance (ULA). Although at first glance Musk appears to be taking a risk by challenging the US military-industrial complex and its political allies, the move is actually the core of a long-term, and very practical strategy. As outlined in the April 25th, 2014 Spaceref Business article "SpaceX to Sue Over EELV Sole-Sourced Contract," the Friday news conference called by Musk to make the announcement even began on a positive note by highlighting SpaceX's recent successful soft-landing of the Falcon 9 V1.1 rocket's reusable first stage off the Florida coast. 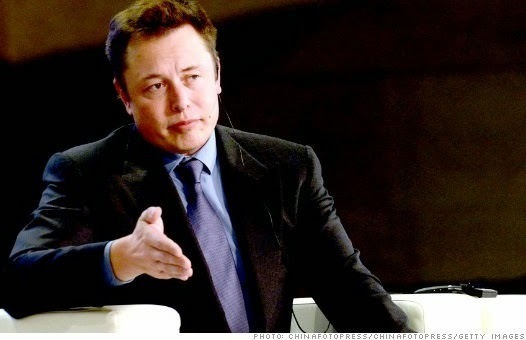 But Musk then fired the opening salvo by announcing the lawsuit, which will be posted online at www.freedomtolaunch.com on April 28th, 2014 and then formally filed with the US Court of Federal Claims. According to Musk, the lawsuit was SpaceX's only recourse in light of the EELV contract being unfairly closed to competition. When asked by a reporter if the lawsuit was prompted merely by SpaceX's not being selected, Musk said SpaceX would be satisfied if the Air Force simply opened its contracting process to competition, be it from SpaceX or other firms. He emphasized that SpaceX's grievance was only with certain individuals within US Air Force procurement, that SpaceX is on "very good terms with the vast majority of the Air Force," and that he had informed them of the lawsuit before going public. Musk also made of point of highlighting how the EELV certification process had been stacked against SpaceX, describing it as “a paperwork exercise.” He said that the certification hadn't resulted in any changes to the Falcon 9 and implied that the process was simply a stalling tactic used to give ULA an edge. Musk also linked the EELV decision to the Crimean crisis, questioning the wisdom of the US Air Force's decision to purchase rockets with Russian-built engines at a time of increasing tension between the US and Russia. Musk even stated that the EELV contract may violate current US sanctions against Russia since Russian Deputy Prime Minister Dmitry Rogozin seems to be personally benefiting from the hundreds of millions of US taxpayer dollars being sent to Russia for the engines. 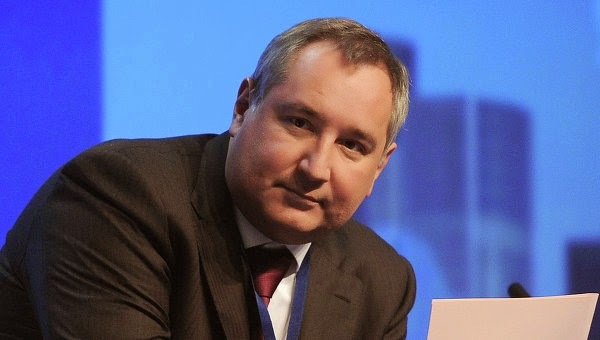 The ubiquitous Dmitry Rogozin. Photo c/o RIA Novosti. The strategy behind Musk's protest of the US Air Force's decision is multi-pronged. First, by protesting the Air Force's decision, the EELV contract will be placed on hold as the court decides the case, giving SpaceX more time to maneuver politically (much as Blue Origin, a privately funded aerospace company set up by Amazon.com founder Jeff Bezos, did when it protested the lease of Kennedy Space Center Launch Complex 39A to SpaceX last year). Second, the lawsuit will buy SpaceX more time to develop its reusable rocket technology, giving it a huge cost advantage vis-a-vis ULA. Third, even if the court should rule in favour of ULA, the social capital SpaceX would gain as the underdog "fighting the good fight" against bigger opponents would be useful in later endeavours, such as Musk's plans to colonize Mars. Whatever the outcome of this struggle, SpaceX will strengthen its image as an agent of change. Two more life-saving space technologies with a Canadian genesis will soon be inducted into the Space Technology Hall of Fame. The Cospas-Sarsat global satellite system, which grew out of a 1979 agreements between the US, France, Canada and the USSR to jointly develop a global search and rescue satellite system, and the NeuroArm, an image-guided, MR-compatible surgical robot derived from technology originally developed for the CanadArm, will be honoured during the annual Space Technology Hall of Fame gala dinner, which will be held as part of the 30th annual Space Symposium of the Space Foundation on May 22nd in Colorado Springs, CO. The two technologies join Ottawa based Mediphan, inducted in 2013 and discussed in the April 13th, 2013 post "Canadian based Mediphan Inducted into Space Technology Hall of Fame" along with 68 other space derived technologies, which have been inducted over the last 26 years. The event is organized by the Colorado Springs based Space Foundation, a US based space advocacy group founded in 1983 to support and raise awareness of the global space industry through various education and outreach programs. The organization also publishes a well respected, annual Space Report on global space activity, which is normally released during the Space Symposium. In 1979, the US, France, Canada and the USSR signed an agreement to jointly develop a global search-and-rescue satellite system which became fully operational in 1985. Since its inception, the system has helped rescue over 32,000 people. The first generation system used five low-Earth orbit satellites to detect signals from emergency beacons and repeat them to ground stations where doppler processing provides the signal location. These satellites used an instrument called a Search and Rescue Repeater (SARR), developed by the Canadian Department of National Defence (DND) to relay the beacon signal to a local ground station for Doppler processing to obtain a location. The location data is then relayed to search and rescue organizations. In 1997, a Canadian government study determined that a better Sarsat system would be one based on medium Earth orbit (MEO) satellites. A MEO system would provide full global coverage, accurately determine an emergency beacon's location, and require fewer ground stations. GPS was identified as the ideal MEO system. NASA led a development effort to create what will eventually become the Distress Alerting Satellite System (DASS). The next generation DASS will incorporate search and rescue transponders directly on-board various global satellite navigation systems including the US' Global Positioning System (GPS), Russia's Global Navigation Satellite System (GLONASS) and the European Union's upcoming Galileo satellite navigation system. DASS will enable satellites to instantly pinpoint an emergency beacon's exact location, thus eliminating the need for ground-based doppler calculations and provide more accurate data more quickly to search and rescue organizations. Today, forty one countries participate in the operation and management of Cospas-Sarsat with over 1 million beacons in use worldwide. Cospas-Sarsat is headquartered in Montreal, PQ. In 1969, NASA invited Canada to participate in the space shuttle program. A request for proposals for a Shuttle Remote Manipulator System (SRMS) resulted in a proposal from a group of firms including Spar Aerospace (now MacDonald, Dettwiler), CAE Electronics, RCA Canada and Dilworth, Secord, Meagher and Associates. The National Research Council of Canada (NRC) began studies on a manipulator system and in 1975, Canada and NASA launched a $110Mln CDN development program. The first SRMS (which became known as the Canadarm), was donated to NASA and was followed by four additional systems accomplishing over 90 missions. An improved version, called Canadarm2, specifically built to assemble to components of the International Space Station (ISS), was first deployed in 2001. This was followed in 2008 by the advanced two-armed Special Purpose Dexterous Manipulator (DEXTRE) which currently performs ISS maintenance and repairs and also serves as a robotics test bed. In 2010, NeuroArm's patents and technology were purchased by Minneapolis-based medical equipment firm IMRIS Inc. IMRIS, formerly based in Winnipeg, is now developing a next-generation version of NeuroArm called Symbis. The Canadian genesis of these life-saving technologies is a testament to the skill and ingenuity of its space sector. Canadian space technology's rich heritage of enhancing life on Earth as well as in space should be honoured, so that the achievements of our past can inspire us to create a better future. 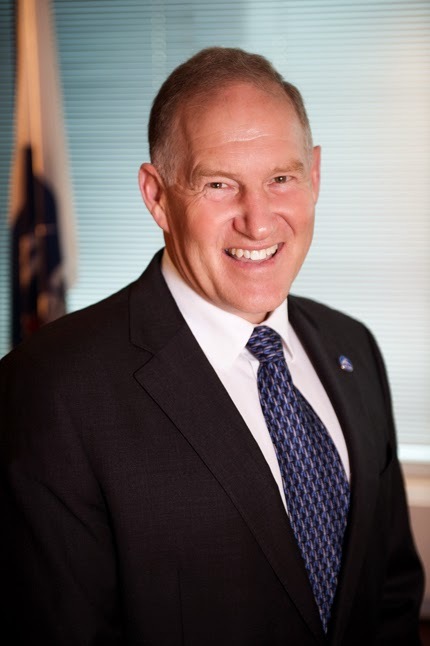 Nine months after formally stepping into the role of Canadian Space Agency (CSA) president in August 2013, retired Canadian Forces (CF) Chief of the Defence Staff (CDS) General Walt Natynczyk has finally begun providing details on the direction he's been tasked to take the agency. But the media response to this new openness suggests that there are many questions still to be addressed. 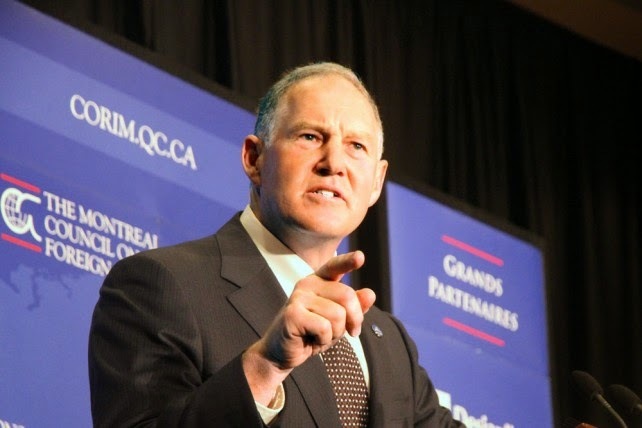 "The General" highlighting important drivers behind "Canada's space policy framework" in Montreal on April 15th. As outlined in the April 15th, 2014 45eNord.ca article "Walter Natynczyk à Montréal: avenir du Canada dans l’espace et Russie," these drivers include sovereignty, security and national prosperity, plus the creation of a "vigorous" economy derived from space sector innovation and international collaboration. Photo c/o Nicolas Laffont/45eNord.ca. In a series of articles related to coverage of his April 15th, 2014 appearance at the Montreal Council on Foreign Relations (MCFR) to speak on the topic of "A Strategic Vision for the Future of Canada in Space," Natynczyk responded frankly and publicly on a variety of topics. But the specifics of the answers aren't entirely a glowing endorsement of the CSA or of its ability to follow-through with its proposed role as outlined in "Canada's space policy framework," the Federal government position paper announced by Industry Minister James Moore on February 7th, 2014 and most recently discussed in the April 13th, 2014 post "Power-Points from the February 25th Canadian Space Agency Meeting." For example, the April 16th, 2014 Canadian Press article "Tensions with Russia not affecting space station: Canadian Space Agency," quoted Natynczyk as stating that Canada continues to work with "all its partners involved in the space station," which include the United States, Russia, Europe and Japan without noting that the final decision to continue on with International Space Station (ISS) activities is primarily a political decision, which likely won't be made at the CSA level. As outlined in the April 7th, 2014 post "The Crimean Crisis and Canadian Aerospace Activities," other Canadian aerospace and space partnerships have indeed been derailed or curtailed due to the Crimean crisis. The April 19th, 2014 NetNews Ledger article "Canadian businesses should prepare for broader sanctions against Russia" has suggested that further sanctions and more disruption could be around the corner. International relations might not be the only external constraint on CSA activities. There might also be budget concerns. For example, the April 15th, 2014 QMI article "Canada to focus on payloads, not rockets, says space boss" quoted Natynczyk as stating that it's cheaper to rent rocket rides from corporations or other space agencies rather than start a launch program from scratch and that "the CSA's budget isn't the only federal money that can be used for extra-terrestrial projects." The article also quoted Natynczyk's boss, Industry Minister Moore, who said that the CSA has "more than enough money to move forward," but the overall focus of the article on CSA budget concerns suggests that there are those who doubt the official statements in this matter. The man behind "The General." 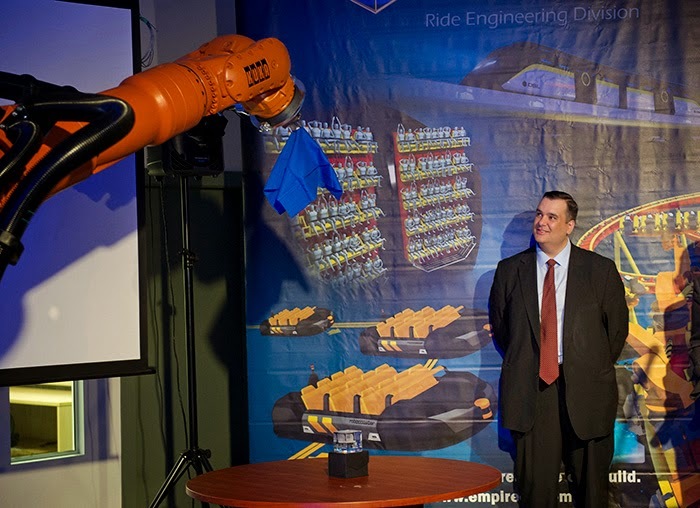 Industry Minister James Moore watches as a robotic arm performs a demonstration at the official opening of Dynamic Structures Ltd.'s expanded facility in Port Coquitlam, BC in September 2013. Dynamic has been involved in the design and construction of most of the world's largest observatories. Photo c/o Richard Lam. The most wide ranging interview was the April 20th, 2014 Canadian Press article "Canadian Space Agency boss insists his appointment does not spell militarization," which focused on Natynczyk's previous military job and the effects it could have on his current appointment. According to the article, the government retains full confidence in Natynczyk and his abilities to manage the CSA. In its first two years, the Toronto Space Apps Challenge, held this year at the Ontario Science Centre in Toronto, ON from April 11th - 13th and part of the larger NASA International Space Apps Challenge, has established itself as a crucible for the commercialization of applications leveraging NASA's extensive collection of spacecraft and science data. The great hall of the Ontario Science Centre (OSC), home of the 2014 Toronto Space Apps Challenge. Photo c/o Brian Orlotti. Now, one of the space hackathon’s NASA liaisons, in town over the weekend to attend and judge the Toronto event, is seeking a way to take things to the next level. First held in 2012, the International Space Apps Challenge brings together coders, makers and entrepreneurs from around the world to form teams and solve various "challenges" developed by NASA. Over 48 hours, teams create software and hardware solutions to these challenges by leveraging NASA science data (be they from satellites, space probes or other assets). In 2013, over 9,000 people in 83 cities across 44 countries took part. Through the challenge, NASA strives to foster innovation and make space exploration more visible and engaging to the public. Where on Earth? - In this challenge, the team must create a game or an applications which displays satellite images of places around the world and asks users to guess where they are using data from NASA’s Earth observing system. The Toronto team competing in this event, from Bitmaker Labs, chose to write their application using ruby-on-rails, an open source web application framework which uses the ruby programming language. Gravity Map - This challenge involved creating an app that shows the gravity force for any location on Earth, utilizing data from the European Space Agency (ESA) gravity field and steady-state ocean circulation explorer (GOCE). The Toronto team, composed of undergrad University of Waterloo students, decided to code their app for the Pebble smartwatch platform, which seemed appropriate since Pebble sponsored the Toronto event and provided loaner units for teams to develop on. The completed application would enable the Pebble watch to show how high you could jump at a particular spot on Earth vs other planets as well as how fast you could fall. Asteroid Imagery Sharing - In this challenge, the teams designed an open-source platform for sharing crowd-sourced asteroid imagery and observed near Earth objects to enable ordinary people around the world to identify and characterize potentially dangerous asteroids. The Toronto team tackling this challenge, made up of web developers and York University Business students, developed an "AstroMap" application to harness data taken from different sources including Google Sky (which utilizes data from NASA plus amateur astronomers) and the International Astronomical Union (IAU) Minor Planet Center. The team envisioned their application as an educational tool for use in schools. According to NASA open innovation program manager Beth Beck, who attended the Toronto event as a judge, the Space Apps Challenge was created by former NASA Open Innovation Program members Nicholas Skytland, Ali Llewellyn, and Sean Herron to fulfill a White House mandate (later extended to other US agencies like the National Oceanic and Atmospheric Administration and the Federal Emergency Management Agency), to make US government data available to the public for use. This released data, when promoted through mechanisms like the Space Apps Challenge, would encourage the development of a global community to drive innovation and create new uses for NASA derived data. Beck and her bosses at NASA anticipate that this "solver" community would give rise to new companies and industries, but could also be incorporated back into NASA’s own programs. 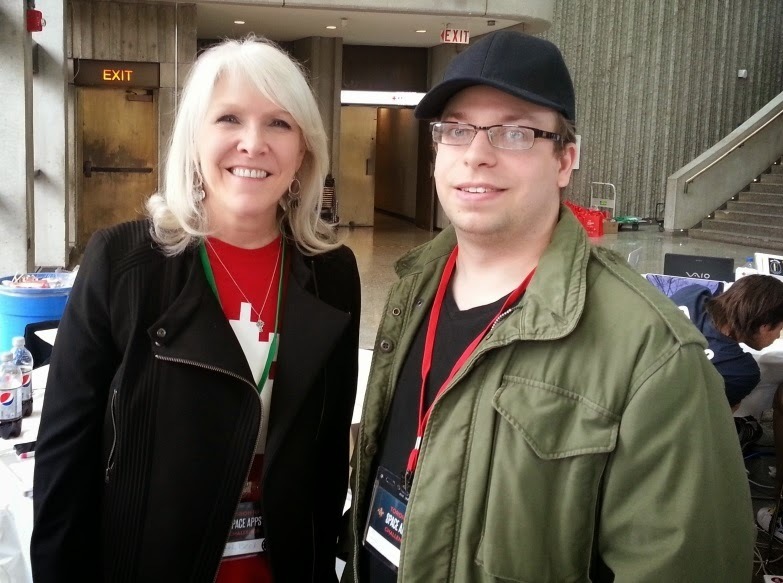 Beth Beck with author Brian Orlotti at the OSC on April 13th. In an interview during the Toronto event, Beck said that since the contest’s global success has proven the effectiveness of the open innovation program model, she wants to add layers of complexity to the event in order to achieve more. For example, the length of the contest could be extended from three days to a week in order to give the teams more time to develop their projects. In addition, NASA is developing an open source software portal, similar to the Defence Advanced Research Projects Agency (DARPA) open catalog as described in the March 13th, 2014 blog post "DARPA Goes Open Source as Others Beg for Government Assistance," in order to provide a central location for the projects created by Space App Challenge teams. Beck was asked if there was any mechanism in place to connect the winning teams with investors and intellectual property experts so as to enable them to bring their innovations to market. She stated that although NASA does not directly perform such services, NASA does send team videos to investors, provides contact lists to all contest participants and gathers the top teams to pitch their ideas on stage (“TED with teeth” as she called it). Beck also said that NASA was open to working with Canadian investors and IP experts. She also spoke about a related initiative. Called LAUNCH, it's a partnership between NASA, the US Department of State, the US Agency for International Development (USAID), and Nike. LAUNCH’s purpose is to serve as a global incubator for ideas, technologies and programs that make tangible impacts on society by connecting innovators with investors. “Innovator Speed dating,” is what Beck called it. Drawing on her PhD studies in the ‘practice of collaboration,’ Beck provided perhaps the best insight into the Space App Challenge’s success. We are messy people…creativity is messy. Order doesn’t always get you where you want to go. Chaotic creativity and orderly execution. The International Space Apps Challenge is artistry and engineering both. The Concordia Institute of Aerospace Design and Innovation (CIADI) has posted presentations from what the Canadian Space Agency (CSA) has billed as its 1st "Annual Space Summit," which was held at CSA headquarters in Longueuil, PQ, on February 25th. As outlined on the March 24th, 2014 post on the CIADI website, the CSA event focused on the specifics of the Federal government strategy to implement Canada's space policy framework, first announced by industry minister James Moore on February 7th, 2014. But while the broad outlines of the day's activities were well known and previously discussed in a variety of publications (including the February 24th, 2014 blog post "the Casablanca of Space Conferences"), the devil is always in the details. Walt Natynczyk. Photo c/o CSA. Fortunately the people responsible for filling in those details were present for the event. They included Col. Andre Dupuis, the director of space development at the Department of National Defence (DND), who spoke on the topic of Integrating Space in Canadian Forces Operations; John T. Weaver from the Defence Research and Development Canada (DRDC) Ottawa research centre who discussed the DRDC Space Science and Technology Program; Prashant Shukle, the director general of the Canada Centre for Mapping and Earth Observation, who assessed issues involved with Innovating to Increase the Impact of Earth Observation (EO) & Geomatics in Canada; Michael Manore, the director of monitoring strategies for the Meteorological Service of Canada (MSC) who assessed the Space Activities and Priorities of Environment Canada and even Walter Natynczyk, the generally publicity shy CSA president who dropped in for an overview of how the CSA intends to Implement Canada's Space Policy Framework. The day also included workshops on a number of themes including the commercialization of government funded technologies, the development of innovation processes and key industry capabilities, the future of Canadian contributions to the International Space Station (ISS) and other space exploration initiatives, how the Federal government perceives its role in Earth observation and satellite services, how the Federal government perceives that government, industry and universities will work together to encourage innovation plus the role of stakeholder in the process and how to manage them. A cursory reading of the day's presentations suggests an almost complete acceptance of the recommendations of the David Emerson led Aerospace Review as outlined in the December 12th, 2012 post "What the Space Volume of the Aerospace Review Actually Says." But there is also at least the suggestion that CSA still perceives itself as being able to manage and influence the processes related to Canadian space activities. As outlined in the February 15th, 2010 post "Ottawa Citizen: "Where did that Long Term Space Plan Go?" that perception might just be an artifact of an earlier era. Russia’s recent annexation of the Crimea region of the Ukraine has caused repercussions in at least two Canadian space and aerospace firms. As outlined in the April 24th, 2013 Broadband TV News article, "Satellite Viewing Grows in the Ukraine," the use of satellite downloads is now the most popular way to access television signals in the Ukraine. Until recently, the region has been considered a high growth area for international firms focused on supplying satellite technology. As reported in the April 1st, 2014 Canadian Press article "MDA suspends ground work in Ukraine satellite program," BC based MacDonald Dettwiler (MDA) has invoked the "force majeure" clause in a contract for ground infrastructure facilities for the Ukrainian communication satellite program because of the country’s political instability. 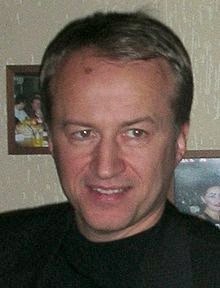 Oleksandr Zinchenko. Photo c/o Wikipedia. associated with the stoppage are "yet to be determined." Of course, MDA possesses substantial business interests in this area and no one knows the long-term effects of a delay in the program. As outlined in the December 15th, 2009 SpaceRef Canada article, "MDA To Build Communication Satellite System for Ukraine," the original deal was signed in 2009 for $254Mln USD ($279Mln CDN) and was believed to be the beginning of a long-term and profitable relationship. 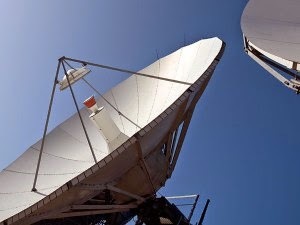 According to Oleksandr Zinchenko, then the director-general of the National Space Agency of the Ukraine (NSAU), "'we are very excited for this contract award, which is the first major step in a long-term strategic partnership between NSAU and MDA in the fields of satellite communications and Earth observation." But MDA isn't the only Canadian company dealing with the challenges of the latest crisis. According to the March 21st, 2014 Canadian Press article, "Bombardier Russian venture at risk over Crimea crisis," the current situation could also hamper the attempt at Dorval based Bombardier Aerospace to finalize a joint venture with Russian state-owned defense firm ROSTEC (formerly Rostekhnologii) to build Q400 turboprop aircraft in Russia. Pierre Beaudion. Photo c/o CBC. In August 2013, Bombardier signed a letter of intent to sell up to 100 Q400 turboprops valued at about $3.4Bln USD ($3.74Bln CDN). The company had also reached a tentative deal to setup a turboprop assembly line in Russia and was expecting to sign final agreements this year. Bombardier has also been courting various Russian airlines, moving into what it sees as a huge untapped market. In 2013, Russian aircraft leasing company Ilyushin Finance Co. agreed to purchase at least 32 Bombardier flagship CSeries jets in a deal valued at about $2.56 billion USD. For Bombardier, Russia is not that big today, but it’s a very large potential country. Like many international companies we are going to follow this very closely. 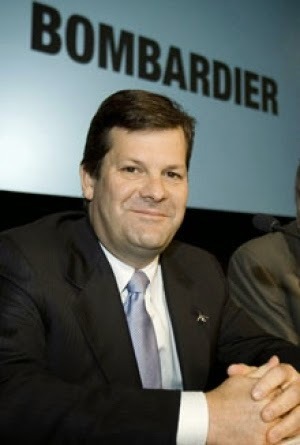 Bombardier expects the CSeries to contribute $5-8 billion USD a year in new revenue later this decade, as Beaudoin told analysts and investors in New York on March 20th. But Beaudoin was also unable to say how long these deals could reasonably be delayed, citing uncertainty over whether the situation in Crimea will escalate. Of course, other Canadian firms have continued working with Russia with little or no disruption. Despite the trepidation and uncertainty, some are even saying the effects of the Crimean situation are mostly symbolic and won’t cause long-term damage. For example, as outlined in the April 5th, 2014 eCanada Now article "Canadian company broadcasting HD feeds of Earth not affected by Russian aggression against the Ukraine," Vancouver based UrtheCast Corp., which recently worked with the Russian space agency Roscosmos to mount two HD cameras aboard the International Space Station (ISS) and send images back to Earth, continues to work with Russia, often sending their engineers there. 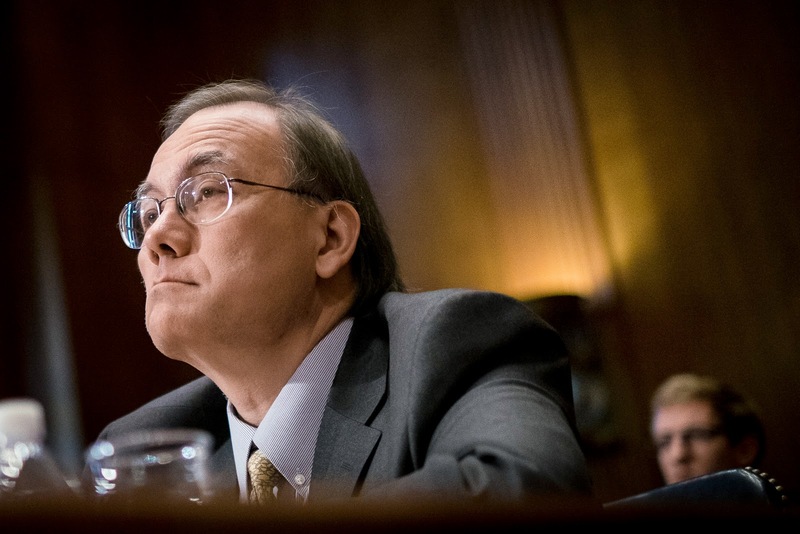 Scott Pace testifies during a Senate appropriations defense subcommittee hearing on Capitol Hill in Washington, DC on March 5th, 2014. The hearing dealt with national security space launch programs. Photo c/o Pete Marovich/Bloomberg. The April 3rd, 2014 Guardian article "NASA cuts ties with Russia over Ukraine crisis, except for space station," went further when it quoted Scott Pace,director of the Space Policy Institute at the George Washington University Elliott School of International Affairs, as saying that it was noteworthy that co-operation relating to the ISS remained intact. Pace also said that there would likely be disruptions for NASA scientists who exchange data or work on experiments with Russian researchers, but while the communications ban applies to direct communication between NASA and Roscosmos, it does not include meetings attended by Russia and other countries. Chris Hadfield. Photo c/o Chris Young/CP. As for the Canadian Space Agency (CSA), its keeping to business as usual, at least for now. The April 4th, Toronto Sun article "Canadian Space Agency keeping ties with Russia for now," has even referenced a Friday CSA statement which read, "while the government views the current situation in the Ukraine with great concern, the Canadian Space Agency will continue to work with its Russian counterpart to ensure the safe and effective operation of the International Space Station." It would be great if everybody was always together on everything, but we surely aren't. This isn't the only area of dispute between nations. Canada and the U.S. have areas that we dispute all the time, and yet we co-operate on most things. 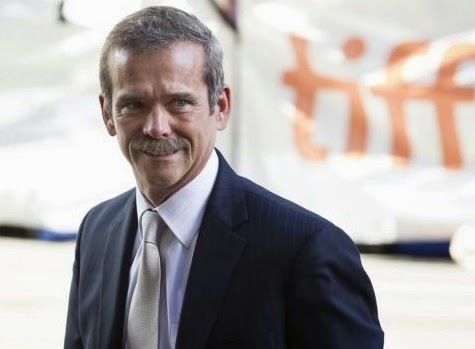 Hadfield’s words doubtless reflect the desire of many to see space continue to be a force for bringing people and nations together through commerce and science rather than the ideological battleground of the past.